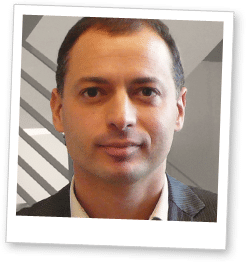 Before co-founding Dejamobile Houssem was the head of research and development for security and trusted transactions at Orange Labs, network operator Orange’s global centre of expertise for mobile payment, contactless technologies, NFC and telecoms security. In this capacity he managed a team of more than 100 people working on trials and launches including France’s Cityzi and the UK’s QuickTap payment systems. As an engineer with a strong technical background in software development, mobile services and security Houssem was closely involved in the creation and deployment of the payment and contactless product line within the Orange Group since 2006. Houssem is happy to take technical questions on mobile payments and security. Areas of specialism include Mobile Payments, Mobile Wallets and NFC. Ask a question here.